Award-winning global agency humanizing brands through experiences and innovative immersive marketing. 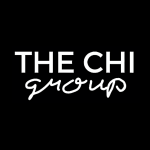 The Chi Group works with clients in fashion, health & wellness, food, hospitality, spirits/liquors, events, entertainment, and tech. Clients who are willing to implement out-of-the-box marketing experiences in order to gain brand awareness while evoking curiosity with their customers. Influencer Marketing Fail, Now What? Co-Branding The Next It Trend?